Home›News›General›Unlicensed manager prosecuted for lying to SIA. Unlicensed manager prosecuted for lying to SIA. Irfan Dogan, the owner of Cobra Security Services has been prosecuted for providing false information regarding his expired licence, during SIA investigation. In October last year, the Security Industry Authority (SIA) began an investigation into Irfan Dogan, owner and manager of Cobra Security Services based in Leicester. As the investigation progressed, Dogan’s licence expired on 8 January 2018, but he continued to operate as the manager of Cobra Security Services. As the manager of a security company, Dogan was required to be licensed under the Private Security Industry Act 2001. When the SIA contacted Dogan, he claimed that Cobra Security Services had not been in operation since the start of the year. The SIA invited Dogan to a formal interview in May this year, but he said he was unable to attend as he was abroad. In August, the SIA checked with the UK Border Force who confirmed Dogan had returned to the UK. As a result, the SIA’s investigators again invited Dogan to a formal interview. He ignored this request and did not attend. Dogan also failed to respond despite confirming that he had received the formal request. This an offence under the Private Security Industry Act 2001. Since May this year, Dogan had failed to communicate with the SIA and, as a consequence, he has been prosecuted. Nathan Salmon, (SIA’s criminal investigations manager) said the following. 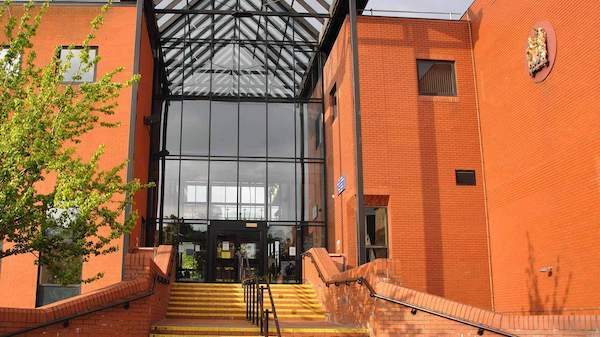 Dogan will be sentenced at Leicester Crown Court on 3 December and his case considered under the Proceeds of Crime Act 2002, which sets out the legislative scheme for the recovery of criminal assets with criminal confiscation being the most commonly used power. Confiscation occurs after a conviction has taken place. They are an independent body reporting to the Home Secretary, under the terms of the Private Security Industry Act 2001. Their remit covers the United Kingdom. One of the main duties of the SIA is to manage the Approved Contractor Scheme (ACS), a voluntary quality assurance scheme that measures private security suppliers against independently assessed operational and performance standards. Organisations that meet these standards are awarded ‘Approved Contractor’ status. Alarm Response and Keyholding is part of the Asset Protection Group and we specialise in providing professional keyholding and alarm response services across the UK. Securing your home or business to ensure the safety of your family and staff. We have been providing keyholding and guarding services since 1982. Because we take the responsibility for responding to out of hours of alarm activations. As well as securing sites on behalf of owners with fully licensed SIA security officers.